If you’ve ever been to New Orleans, you know about its “je ne sais quoi” that keeps calling you back. As a city, it wears its history on its sleeves. Local kitchens line its streets with doors wide open, a metaphor for the city’s hospitality, while Cajun scents permeate the air. Jazz music constantly plays; most times, you don’t even know where it’s coming from. Partygoers flock to New Orleans for cultural festivals like Mardi Gras or Jazz Fest, and even on a “normal” day, historic architecture strikes the perfect chord between gritty and beautiful; fusing the city’s debaucherous past with its must-see present. Speaking of the past, no neighborhood is more critical to New Orleans’ history than Faubourg Tremé, both the birthplace of jazz and the oldest African American neighborhood in the US. Every November, locals celebrate this neighborhood’s heritage with the Tremé Creole Gumbo Festival—and now in its 11th year, it’s set to make an even greater impact than ever before. Faubourg Tremé was a cultural and historical stepping stone for African Americans in the United States. Walk through the streets of Faubourg Tremé and your toes might just start tapping on their own. Named after Claude Tremé, a real estate developer who came to New Orleans from France in 1783, this neighborhood is famous for two things: jazz and its place in the economic, cultural, political and social surge of “Black America.” While the US was still immersed in slavery in the 1900s, this neighborhood was where freed slaves and persons of color could actually purchase and own their property. As African Americans moved in, so did their culture—namely, their music. Today’s Tremé is a testament to all that and more, with daily second-line parades, jazz funerals, underground music clubs, the New Orleans Jazz Museum and Armstrong Park, an outdoor public space named for jazz legend Louis Armstrong. On Saturday and Sunday, November 17th and 18th, today’s New Orleanians will celebrate this heritage like Louis Armstrong would: with good food and better jazz. Savor the city’s rich history—we mean that literally—with a New Orleans staple, piping-hot gumbo. Much like the city’s mélange of cultures, gumbo is a melting pot of spicy, savory flavors and ingredients, like okra, chicken, sausage, shrimp, crab, oysters and crawfish, all served over white rice. It wouldn’t be a dish in the “Big Easy” without some creativity, and the gumbo gurus at this festival take that to heart. Expect everything from classic seafood gumbo and gumbo z’herbes, to variations with chicken and andouille, Creole filé, dark roux, gluten-free and even vegan ingredients, and live cooking demonstrations to show you how it’s all done. Gracing this year’s stage will be four local masters: Poppy Tooker, host of the “Louisiana Eats” radio program; celebrity chef Kevin Belton; chef Ericka Lassir of Diva Dawg; and chef Tia Moore Henry of Café Dauphine. What’s a New Orleans festival without jazz? 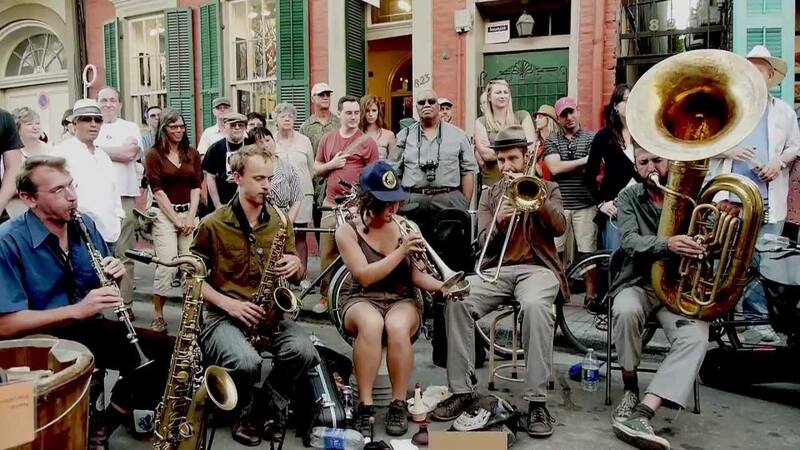 The 11th-annual event will stay true to Tremé’s cultural roots by emphasizing New Orleans brass bands; paying homage to one of the music scene’s most celebrated local musicians, Travis “Trumpet Black” Hill, who died unexpectedly from medical complications in 2015. To honor his name, almost every performance is connected to the Hill family in some way. James Andrews, a popular local trumpeter, is Travis’ cousin. He’s performed in both Hot 8 Brass Band and Tremé Funktet, and him and Travis together had personal and professional ties to everyone else: like Grammy-award-winning Rebirth Brass Band, which will headline the festival; jazz trumpeter Ashlin Parker’s mega-group, Trumpet Mafia; the Pinettes, Tremé and Free Agents brass bands; and the Brass Menagerie second line parade, which will end each day of the festival on a high note. Live music will keep the party going on both days, from 11 a.m. to 7:30 p.m., a full lineup for which can be found here. Music isn’t the only art form Tremé has to offer. In addition to showcasing handmade fine art and home furnishings by dozens of local artists, the Tremé Creole Gumbo Festival Arts Market hosts artist-led workshops and craft lessons for kids. We can’t wait to indulge and be part of all the fun. Virgin Hotels New Orleans is slated to open in 2020. This festival is hosted by the New Orleans Jazz & Heritage Foundation, and is FREE and open to the public. It takes place at Louis Armstrong Park, which is located at 701 North Rampart Street. Parking will be available on November 17th in the lot at 501 Basin Street for $20 per day. Parking will be available on November 18th at Mahalia Jackson Theatre for free. Free bicycle valet will be provided by Bike Easy. While entrance is free, donations are encouraged. More information about the festival can be found on the Tremé Creole Gumbo Festival website.